OxyContin falls into the opioid classification. One of its main ingredients is thebaine, an organic chemical commonly found in opium, according to the Center for Substance Abuse Research (CESAR). OxyContin (oxycodone in its generic form) is a powerful pain medication intended for the relief of moderate to severe pain. It is unique because of how long its effects last in the body, up to 12 hours, which is helpful for people who suffer from significant pain caused by arthritis, severe injuries, or cancer. Because of its classification as a painkiller, OxyContin is included as a Schedule II drug, along with others that have similar effects. It also has a high potential for abuse. OxyContin can be taken orally in full form, or the pills can be crushed and the resulting powder is then snorted or mixed with liquid and injected. If individuals abuse this drug, they run the risk of overdose and death, according to the Drug Enforcement Administration. While any abuse of OxyContin comes with risks and potential health effects, certain modes of ingestion carry more risks than others. Two methods of taking in the drug, snorting it and injecting it, present with their own unique sets of risks. When it is crushed, OxyContin can be inhaled or snorted just as cocaine is. Several dosage levels are available by prescription — coming in 10, 20, 40 and 80 milligram tablets. The highest dosage of 160 milligrams stopped being produced due to its extreme potential for abuse. When people snort OxyContin, the drug is absorbed quickly through the membranes in the nose. It is then quickly moved into the bloodstream, resulting in a rapid onset of action. When individuals crush and snort OxyContin repeatedly, they run the risk of developing frequent sinus infections. With prolonged use, delicate nasal tissue may begin to break down, which can lead to permanent damage in the nasal cavity. In extreme cases, total tissue death can occur. Some users crush OxyContin and then mix the resulting powder with water to form a mixture that can be injected into the body. While injection drug users often inject the drugs directly into veins, many users inject into muscle or skin. Injection drug use (IDU) comes with serious risks, in addition to the risks associated with the drug use itself. IDU comes with the high risk of contracting HIV, hepatitis, and other blood-borne diseases due to shared needles and other equipment. According to the World Health Organization, 10 percent of all new HIV infections are the result of injection drug use. While overdose is always a risk with any drug use, the potential is much higher with injection drug use. In addition, while the crushed OxyContin may look like a fine powder, it may still contain bits of its solidified, tablet form. These particles can cause blockages in the bloodstream, resulting in circulation issues and kidney complications. 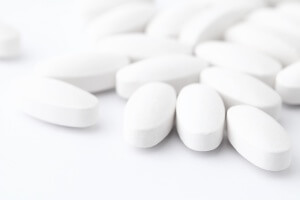 The oxycodone in OxyContin is designed to be released slowly over time, allowing for hours of pain relief. When users crush the pills and snort or inject the drug, they bypass this time-release element, releasing all the power of the medication into the body at once. This is largely why users abuse the drug in these ways – to feel the intensity of the effects all at once, resulting in greater euphoria. However, bypassing the time-release feature comes with great risks, significantly increasing the likelihood of overdose, which can lead to death. Overdose is considered a medical emergency, and prompt medical treatment is needed.